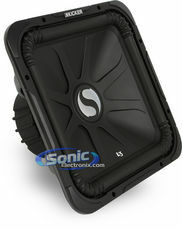 Save 50% on a Sealed Enclosure with Your Subwoofer Purchase! 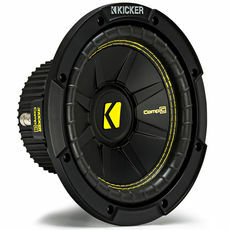 Kicker has been making rockin' subs for over 30 years and are known in the car audio industry as being SPL champs while still sounding great. 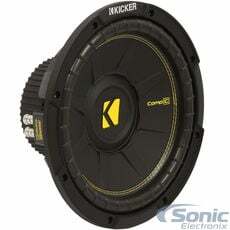 The Kicker Comp subwoofers are one of the best-selling subwoofer lines in the world and it's easy to see why! 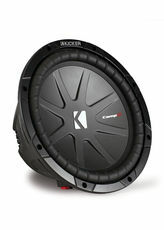 They might be Kicker's entry level subs, but there's nothing entry level about their performance! 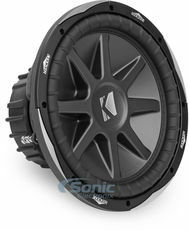 Solid, reliable woofers with big bass and an affordable price point. What's not to love? 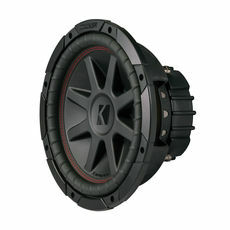 These woofers are also available in many different configurations such as Dual Voice Coil and Single Voice Coil. 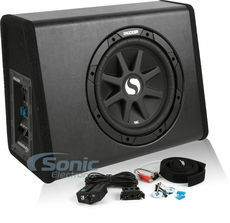 This makes it easy for beginners and pros alike to wire their subs up and start listening to the bass! 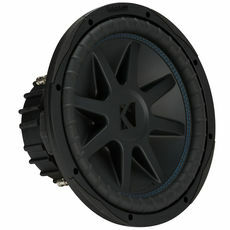 Up next are the CompD and CompS subwoofers. 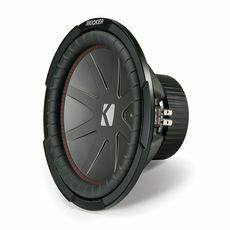 These subs have almost the same cosmetic design as the Comps, except they double up the wattage handling. 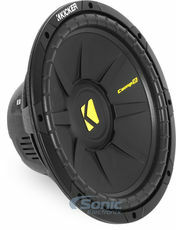 The Comp-D and Comp-S subwoofers handle between 200 - 600 watts RMS! Kicker made it easy to choose a subwoofer based on your wiring configurations. 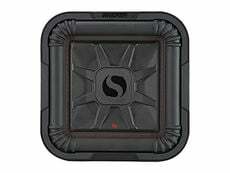 the CompD's are Dual Voice Coil (DVC) subwoofers while the CompS's are Single Voice Coil (SVC) so no matter your amp configuration, Kicker has a woofer for you! 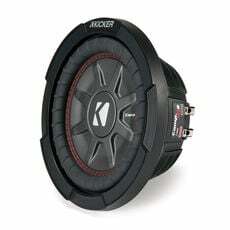 The CompVR or CVR subwoofers are Kicker's mid-level subs and are perfect for anyone to get some big boom without spending too much money. 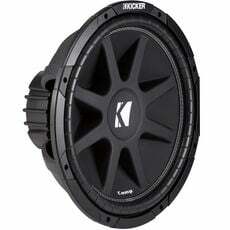 These woofers have been around for over 10 years and each new generation keeps getting better and better. The newest models come in a sleek black look and sound cleaner than ever before by utilizing a 360 degree back bracing system to eliminate distortion and flex. 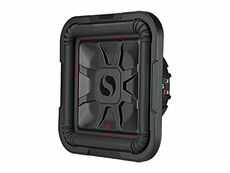 This, along with an advanced motor cooling system and ribbed Santoprene surround allow your CompVR subwoofers to play louder for longer with more excursion than previous models. 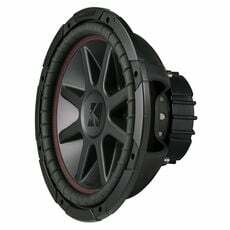 The CompVX or CVX Kicker subwoofers are made with the same technology as the world famous L7 subwoofers but come in round models instead of square. The one-piece SoloKon cone with a reinforced back bracing keeps the cone rigid during extreme playback. In addition, the CompVX subs use an aluminium basket so they are light weight and to prevent magnetic interference. 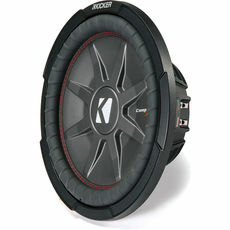 These subs are perfect to use in either a sealed or ported box. Be ready for some loud bass! 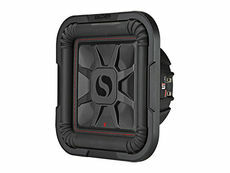 The CompR (CWR) subwoofers are the CompVR's big brother and double the power handling - between 400 and 1200 watts RMS! All that extra power but they still stay remarkably shallow given they're high RMS ratings. 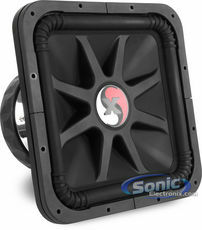 These subs feature a quick selectable impedance slider to easily change the impedance. No more wiring the voice coils for different impedances! 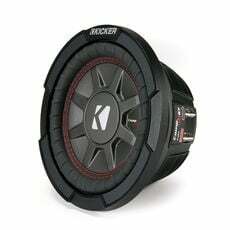 Up next are the Kicker L7 subwoofers. These subs are world renowned for extreme SPL. With their square design, you get up to 18% more cone area than a same sized round subwoofer. More cone equals more bass! if you're looking to hit some serious dB's in your ride, look no further than the L7! These woofers also use a vented die-cast aluminium basket for a lighter weight subwoofer and increased cooling properties. Play louder and longer with the Kicker L7! 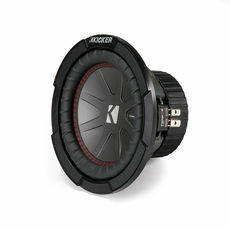 Kicker also makes a 2 lines of shallow mount subs - the CompVt (CVT) line and the CompRT line - for when you need bass but don't want to sacrifice space. They might look small to the untrained eye but make no mistake, the CompVT and CompRT subs will shake your car with gut-pounding bass! 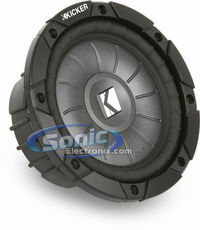 Kicker made the CompRT woofer available in a Dual 1 ohm configuration as well so you can get more juice from your amplifier. 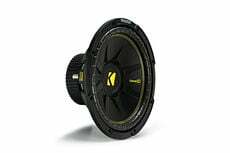 With all of the subwoofer options Kicker has to offer, is it any wonder why they've been at the top of any car audio junkie's list of top subwoofer brands? 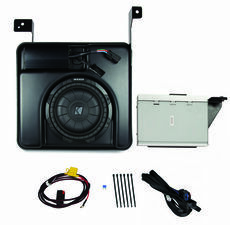 No matter if you're brand new to car audio and just need a little bass, or if you're looking to win SPL competitions, Kicker has a subwoofer for you. 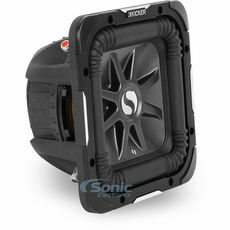 And as an authorized Kicker dealer, Sonic Electronix carries every single line of woofers at unbeatable prices with award winning customer support to match. 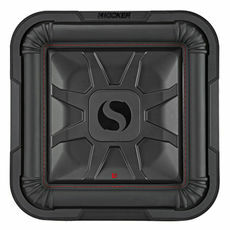 Get your bass fix today with a Kicker subwoofer from Sonic Electronix!